U B. day celebrations started with a bang. 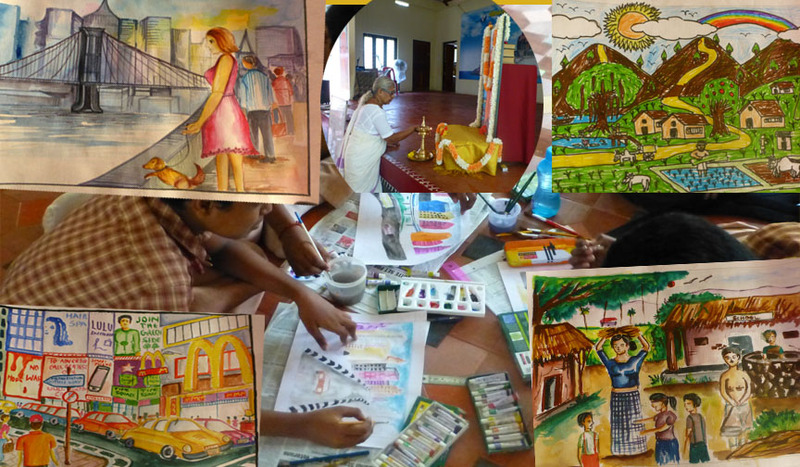 The painting competition was was organised in the campus today morning from 9:30am to 12 noon. Ten schools in and around Kodungallur participated. In all there were 82 children. There were 46 students of Junior group of classes V,VI VII. Topic for the group was 'Ideal Village'. The Senior group included students of classes VIII,IX an d X, with 36 students. The topic for this group was ' Smart city or 'Model City'. One should see children paintings! Their creative imaginations makes them forget themselves and just pin drop silence resides in the place. Who says children are uncontrollable?